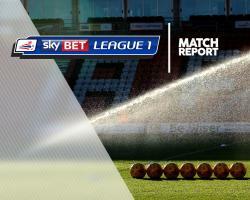 Port Vale moved to within a point of moving out of the relegation zone after holding MK Dons to a goalless stalemate. Vale had goalkeeper Deniz Mehmet to thank as he made several good saves to keep out the dominant visitors. The Dons, who were perhaps fortunate to keep 11 men on the field when George Williams felled Anton Forrester in the first half, had the better chances throughout. Harvey Barnes crashed an effort off the post just six minutes in after Vale failed to clear their lines, while Kieran Agard was twice sent through and denied on both occasions by Mehmet before half-time. Two minutes after the restart Mehmet made another stop from Agard, while substitute Andre Bikey was called into action to block a goal-bound effort from Robbie Muirhead shortly before the hour mark. JJ Hooper tested David Martin in a rare Vale attack late on, but Rigino Cicilia was unable to convert the follow-up.